After winning a total of 16 medals in the recent Kejohanan Sukan MASISWA Zon Utara 2015 held in UTAR Kampar Campus, UTAR sports team once again proved their skill by winning nine medals in the Kejohanan Olahraga MASISWA 2015. 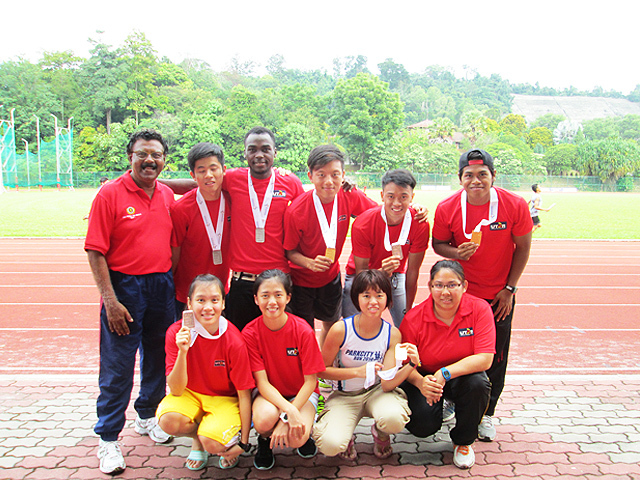 The nine medal haul placed UTAR in third position in the overall rankings in the competition. The annual tournament organised by Majlis Sukan IPTS Malaysia (MASISWA) engages athletes from private higher learning institutions from all over Malaysia and aimed to promote a healthy and active lifestyle among young people. A total of 27 private universities and colleges participated in the competition which took place on 6 to 8 August 2015 at Stadium Sains Sukan, University of Malaya. Team UTAR won three gold medals in shot put, javelin throw and 5,000m track walk, and three silver medals in shot put, 10,000m track walk and 3,000m track walk. Another three bronze medals were garnered in discus throw, high jump and long jump. The UTAR medallists were Advertising student Cheang Wai Leng, Financial Economics student Tew Joo Heng, Accounting student Loh Chooi Fern, Financial Mathematics student Pang Shu Khi, Banking and Finance student Goh Chun Seng, Marketing student Wong Siew Jie, and Industrial Engineering student Lee Yong Zhe. 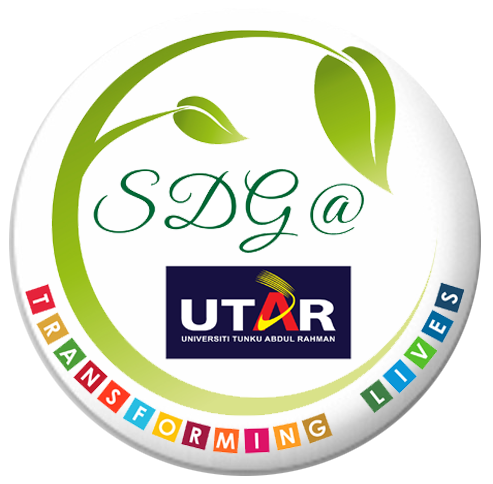 Department of Student Affairs, Sports and Recreation Unit Assistant Manager S. Theva Das praised the achievements of Team UTAR in the event. “Our students played well and I personally would like to congratulate all the players who were up against some of the best players including national players in their respective events,” said Theva Das who led the team throughout the event.